January Jones shared a photo of herself on Instagram on May 20th wearing CAMI AND JAX swimwear. 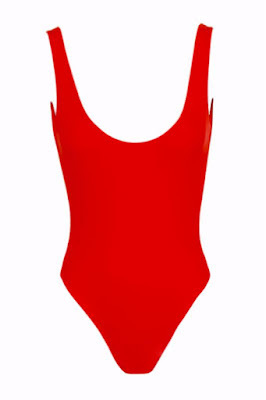 The actress enjoyed the California sunshine by the pool in the Carmen Malibu Red swimsuit ($250 www.camiandjax.com). Below is another look at the swimsuit. See more of January Jones here on the Fashion Blog.